Deciding to seek treatment in rehab can be difficult and not a one night thought. There are many worries that people experience when they think of rehab. One of the biggest factors that hold many addicted people from signing a rehab is fear. Most addicts will never admit how afraid they are about seeking treatment. To the contrary, a treatment center is not a place to be afraid of. You will meet new friends, fighting addiction just like you. There are bleak hallways and rooms where you sit in circles sharing experiences on drug and alcohol addiction. People motivate and support each other. Most people have reported positive experiences about rehabs. They got along so well with the staff at the facility and their peers. People think differently when they hear the word rehab; mostly negative thoughts like painful withdrawal symptoms, failure, or even rejection. In the past decades, addiction was not well understood and treatment programs only addressed the behavioral problems. Today, practitioners are well educated on addiction problems and how to contain them. They comprehend that there is more than the behavioral issues, but physical, emotional, and psychological problems need to be determined and treated. Thanks to the invention of modern recovery treatment programs. The specialists comprehend that alcohol and drug addiction is not due to selfishness or a desire, but rather a way of self-medication to stress, depression, or avoidance of reality. They know that it can be inherited or influenced by the way or where one was raised. Medics understand that drugs contain chemicals that disrupt the function of the brain, hence the ability to make decisions. They acknowledge that the addicted person has a desire to quit abusing drugs and alcohol, but the cravings are strong. The individual has not failed morally, but with the assistance, they can get back to normal. People who enroll in rehab are handled with a lot of respect. Deciding to give up on something you have relied on for years is not easy. It is a decision that should be celebrated. The medic team at the rehab are very caring, supportive, not judgmental, and understanding. Instead of criticizing the patient’s behaviors, they make them feel guilty about their substance or alcohol dependence. One gets all clock round support and guidance during the recovery period. Most of the staff at rehabs have experienced addiction and are recovering, so they relate well to all struggles and fears of recovery. Fear is normal especially if it’s a new experience. But what is fear? This word can only be described well if you experience it. Words aren’t enough. It ranges from emotions of anxiousness and uneasiness to complete anxiety. Fear can cause stress and it ideally relates to worries about the future. It is a distressing feeling due to the thought of an impending danger. Fear can be triggered by real or imaginary things. For instance, if you step on a snake you will experience intense fear based on a real danger. However, when you think of rehab, the fear is based on potential negative things that may occur or not occur such as failure to recover, loss of friends and family members and many others. It is normal to experience fear at every stage of addiction treatment. Though you might have been in rehab before, the idea of going back there is always accompanied by trepidation. One gets worried about life without their drug of choice and their friends. Addicted people believe that life without drugs is very gloomy and boring. Although consumption of drugs makes you feel good, it is only temporal and you are only avoiding the reality. The drug helps one feel happy even in odd and awkward situations like the loss of a relative or job. This is a very common fear during recovery. People are worried about the withdrawal of the substance. The fear is stronger if it is the first time to detoxify. One is not certain of what to anticipate. Other addicted people know what they felt when they stayed without taking the substance of their choice. Some tried to gain sobriety on their own at home, but it didn’t work. The withdrawal symptoms were unbearable; vomiting, headaches, dizziness, fatigue, insomnia, and many others. You can’t even wish them for your worst enemy. Detoxification from substances and alcohol is a painful and not a pleasant procedure. Some of us have been through it and understand well. Trying it on our own can be harmful or even lead to death. You experience terrible feelings between the 1st and the 3rd day depending on the drug. Nonetheless, if medically supervised it is comfortable and mostly a success since you are given medicines to relieve the pain. If you are worried about the withdrawal symptoms, talk to your specialist at the rehab. Find out if you can get medical support to monitor and treat the withdrawal symptoms accordingly. Some medicines can be prescribed to relieve the pain and make you comfortable. Ask whether there are things you can do to distract you from the pain such as watching a movie, reading magazines, and other activities of your interest. Detox from drugs won’t be an easy thing both physically and mentally, but the good thing is that you only experience the worst feelings within the first days. Moreover, the medical staffs understand and will help you to go through anything you will be experiencing. Remember that the withdrawal symptoms are unique and personal. A pain that you will go through to save your health and probably life is worth. The fear of failure doesn’t only apply to drug addiction recovery, but even in real life. It has kept many people from succeeding in life. The fear to recover has been a big reason why many addicted people have been afraid to seek medical assistance. The thought of going through the treatment process and later incurring a relapse is a common and normal fear that you might experience. Relapse is not a sign of failure and the recovery is a long-term process. Though many people might have failed, that doesn’t assure you that you will fail. Sometimes you might be required to try several times, but don’t give up. At some point, despite how many days or years you have been sober, you will doubt yourself. But remember many people overcame the fear and succeeded. If you afraid of recovery due to fear of failure, you are not giving yourself the chance to try. It might surprise you later that going to rehab was the best decision you have ever made in your life. Don’t fear relapse, only use them to learn and motivate yourself. Determine the triggers of the relapse, and device ways of preventing them. A relapse simply means you need to adjust the recovery plan. Note that you can’t recover unless you try. How does one get afraid of succeeding? That is the question that might be in your mind. Fine, it is very simple. Some people think that they don’t deserve to succeed and hence do not even put any effort to recover. They have committed things in the past that makes them want to punish themselves by living an unhappy life. “What is the point of even going to rehab? I have damaged everything so far, and I can even fail to recover too,” many addicted people say these to themselves. The fear of how life will be without drugs can be strong and hinder you from progressing or even starting. Most likely you have depended on the drug to cope up with life’s struggles. It can be very scary to think of dealing with your problems while sober. The emotions are intense and very real; however, the large part of the recovery program addresses emotional issues. The professionals teach the patients various mechanisms of facing life struggles without the use of drugs and alcohol. Others believe that they don’t have another chance to recover since they have been in rehab before and they failed. Many of us have felt that way, but you should note that we live a 24-hour, one day at a time life. Disregard these thoughts and view it from this point, what is the harm of trying? If it doesn’t work you will still be at the point you are and if you are successful you will live a life you never anticipated. Focus on the future and not the present. Fear is just an imagination of something that might not occur. Feel the fear and don’t run away from it. After a time it will disappear. Going to rehab means a new environment, new faces, and you have no idea of what will happen there. The concerns are genuine, but you should know that the staff’s duties are to help you recover and restore your well-being. Also, you will meet other addicted people undergoing the same process as you. If you are worried about enrolling at the facility, ask questions before and get all the information you require. Definitely, due to addiction, you might have hurt a lot of people. Some addicted people get violent, which makes them lose their family and friends. Probably you have sold all your properties and borrowed money to purchase drugs. People have lost trust in you. When you think of how you will face them and amend the relations, you can get overwhelmed. It might seem impossible. You don’t have an idea where to start and are even afraid of meeting them to initiate the process. Therapies offered and the support groups will help you in managing this fear. Repairing broken trust cannot happen in one day. In fact, it can take years to heal. However, don’t give up and involve your family as you start the treatment so that you can all heal together. If you abuse drugs and alcohol it is most likely that your friends do too. If they are not ready to quit consuming the substances, you might get scared that they will not like you once you recover. Then, who will be my friends? What if my friends get hungry with me? These are valid concerns that come alongside the decision to change lifestyle. 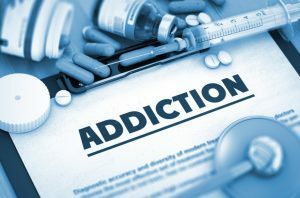 Addicted people fear that their family might reject them; however, sometimes your loved ones are aware that you are having a problem and would be happy if you were helped. They will care and support you no matter the lifestyle you chose. In any way, they have contained your mood swings, lies, violence, and many other bad things from you. Fear of rejection is a feeling that many people experience when they start a new thing. It is something almost everyone experiences at some point in life. If you are considering joining rehab, it is important to evaluate your relationships. Determine if the friendship is healthy or unhealthy. If your friends are not supporting you to recover they are not real and honest friends who you can count on your life. Losing your friends can be saddening, but at the rehab, you will make new ones whom you share a lot in common. Eventually, you may find out that it was good to let them go to make a new room for healthier friendships. After years of a life of drugs and alcohol, who are if you recover? They have identified you as an alcoholic for the longest time. Without the drug, you have no idea what you can be. It can be very frightening. What will be your values, hopes, and desires? These are among the many difficult questions whose answers change over time. 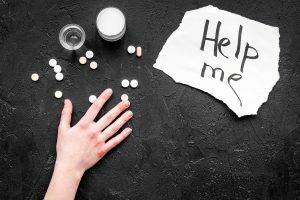 A common misconception among addicted people is that the rehab rules will change them. Ideally, you will change, but in a positive way. Find a rehab that focuses on personal needs rather than an all-treatment program. During the recovery period, the staff assists you to get out of the comfort zone and attempt new things. The world has a lot of things that may be of interest to you. Ask support from your peers, friends, and relatives to learn new experiences. Becoming sober implies replacing your coping mechanism- the substance of choice- with an unknown one. It can be uncomfortable for a person who is afraid of the emotions. Is all that time worth it? Will sobriety be maintainable, boring? Staying stuck in fear means that you are stuck in drug use problem. You have relied on the drug to deal with your feelings and maybe symptoms of mental disorders. If you quit, it means getting a new way of coping. Overcome the fear by letting yourself experience it. You are on the path of achieving comfort without using drugs. Remember you will not be alone and guidance will be provided. Many addicted people are afraid of losing the things that they own. The things vary with individuals, but mostly are a job, relations in the community, and family. You may fear to reveal your problem to your boss, you might lose the job. This is a valid fear. However, think about how drug addiction could make you lose your career. The performance is affected due to your drug abuse. Moreover, if you are found with drugs you might face the law hence putting your job at a great risk. Getting help in a rehab can assist you in saving your job before you get sacked due to poor performance or absenteeism. Know the cause – analyse all your emotions and determine what could be triggering them. Are you afraid of withdrawal symptoms? Loss of a job? Failing? Succeeding? Are you afraid of what to experience at the rehab, the staff, food, how long you will be there? Put them down on a paper– if you can’t memorize the fears, write them down. You might gain the strength to deal with them if you see them on a paper. People keep fears deep inside their hearts, but it only intensifies the fear. Also, share them with your close friend or relative who will not criticize or judge you. If you have no one trustworthy, reach out to a professional at the rehab. Meditate – meditating about your worries will motivate your mind to deal with present issues than getting worried about the unknown future. It will also help you calm down. Make new friends– make new friends with whom you share the same interests. You will inspire each other all through the process. Also, strengthen current relations, but only the healthy ones. Only people who support and inspire you to fight the fear and recover are important at this period. Let go people who put you into tempting situations or discourage you and feed you with fears. Use the fears as motivators – the first reaction when you are tensed is the negative results. Nevertheless, concentrate on the benefits of recovery. Think about how life will be enjoyable and healthy without abusing drugs. There are a lot of activities that can make you happy; swimming, watching movies, outs with your friends, and many other healthy activities. Employ positive affirmations and believe in yourself– create a statement that inspires you and addresses your feelings. For instance, “I have all it takes, am not a failure. “Repeat the affirmations severally, more also when you are anxious. The fear will go away gradually. If you surrender your worries to a super power might make you feel free. Don’t give up no matter how big the fear– develop a positive attitude. Step by step you will gain lots of confidence. Be innovative and discover other ways of fighting your fears. Leave the past, and concentrate on the treatment process. Fear is a feeling based on something we can’t control. Instead of fretting about what could happen, think about the present. Feel the fear but face it. Use it as a motivation to keep you going. Don’t let it inhibit you from getting medical attention. You will later celebrate your success. Listing the fears down on a paper will remind you of how to manage them. Addicted people worry about the life without drugs and how they will be perceived by their peers. The fear of loss of friends and job is genuine. However, your health and life are worth anything including bad relations. Dealing with fears in any situation can be tricky. However, knowing the cause of your fears and sharing them with your close friends can help you in overcoming them. Staff at the rehab will support you in managing the fears and starting a happy, sober and health life.